A Roman legionary needed as much protection as possible in order to stay safe from offensive blows to his torso. Even the best warriors need the Roman Soldier Subarmalis, just in case an attack from the enemy damages your armor. Crafted from real leather, this subarmalis is comfortable to wear and moves easily with you throughout battle. 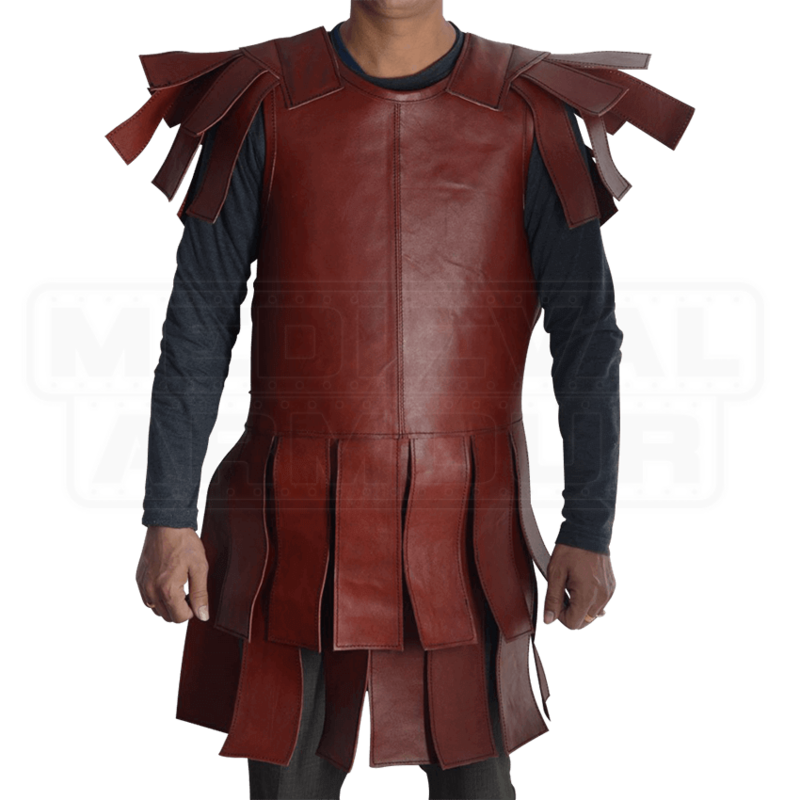 This red leather subarmalis features square strips on the sleeve and a matching hem, giving it an authentically Roman look that is perfect for your warrior ensemble. 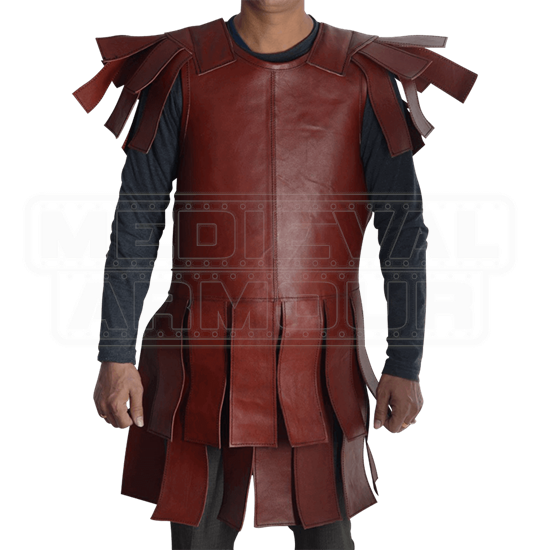 Wearing this Roman Soldier Subarmalis over a tunic and under your armor will provide you not only with comfort and protection, but an unmistakable legionary look.